In greater than 90 percent of cases in which treatment for metastatic cancer fails, the reason is that the cancer is resistant to the drugs being used. To treat drug-resistant tumors, doctors typically use multiple drugs simultaneously, a practice called combination therapy. And one of their greatest challenges is determining which ratio and combination — from the large number of medications available — is best for each individual patient. Dr. Dean Ho, a professor of oral biology and medicine at the UCLA School of Dentistry, and Dr. Chih-Ming Ho, a professor of mechanical engineering at the UCLA Henry Samueli School of Engineering and Applied Science, have developed a revolutionary approach that brings together traditional drugs and nanotechnology-enhanced medications to create safer and more effective treatments. Their results are published in the peer-reviewed journal ACS Nano. Chih-Ming Ho, the paper’s co-corresponding author, and his team have developed a powerful new tool to address drug resistance and dosing challenges in cancer patients. The tool, Feedback System Control.II, or FSC.II, considers drug efficacy tests and analyzes the physical traits of cells and other biological systems to create personalized “maps” that show the most effective and safest drug-dose combinations. Currently, doctors use people’s genetic information to identify the best possible combination therapies, which can make treatment difficult or impossible when the genes in the cancer cells mutate. The new technique does not rely on genetic information, which makes it possible to quickly modify treatments when mutations arise: the drug that no longer functions can be replaced, and FSC.II can immediately recommend a new combination. The researchers demonstrated that combinations identified by FSC.II could treat multiple lines of breast cancer that had varying levels of drug resistance. They evaluated the commonly used cancer drugs doxorubicin, mitoxantrone, bleomycin and paclitaxel, all of which can be rendered ineffective when cancer cells eject them before they have had a chance to function. The researchers also studied the use of nanodiamonds to make combination treatments even more effective. Nanodiamonds — byproducts of conventional mining and refining operations — have versatile characteristics that allow drugs to be tightly bound to their surface, making it much harder for cancer cells to eliminate them and allowing toxic drugs to be administered over a longer period of time. The use of nanodiamonds to treat cancer was pioneered by Dean Ho, a professor of bioengineering and member of the UCLA Jonsson Comprehensive Cancer Center and the California NanoSystems Institute. The study found that FSC.II-optimized drug combinations that used nanodiamonds were safer and more effective than optimized drug-only combinations. Optimized nanodrug combinations also outperformed randomly designed nanodrug combinations. Both Dean Ho and Chih-Ming Ho have collaborated with other researchers and have validated FSC.II’s efficacy in many other types of cancers, infectious diseases and other diseases. 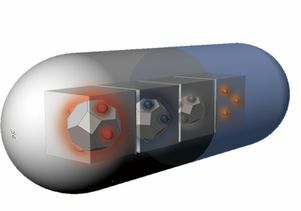 Other co-authors were Hann Wang, Dong-Keun Lee, Kai-Yu Chen and Kangyi Zhang, all of UCLA’s department of bioengineering, School of Dentistry, California NanoSystems Institute and Jonsson Cancer Center; Jing-Yao Chen of UCLA’s department of chemical and biomolecular engineering; and Aleidy Silva of UCLA’s department of mechanical and aerospace engineering. The work was supported in part by the National Cancer Institute, the National Science Foundation, the V Foundation for Cancer Research, the Wallace H. Coulter Foundation, the Society for Laboratory Automation and Screening, and Beckman Coulter Life Sciences.